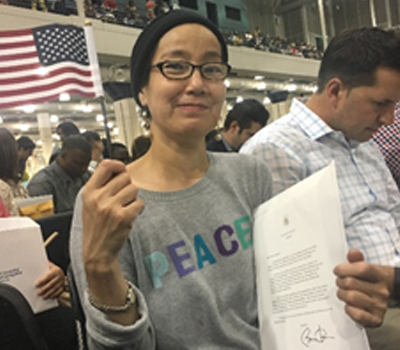 When Phung Mai and her husband came to the US in 2016, they were excited to start a new life. Phung Mai arrived in a wheelchair, worried about the cost of her particular healthcare needs. 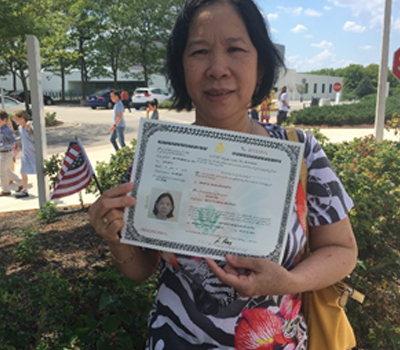 Being unfamiliar with the healthcare system here, and not knowing English, they came to VACA for assistance with Phung Mai’s health insurance application. We worked closely with her and eventually she was able to secure a plan that met her needs. Alexandrina immigrated to Boston in 2012 from Cape Verde to live with her sister. Even though they lived in a different neighborhood, both sisters sought out English classes at VACA, and Alexandrina enrolled in Level 1 class 2015. Even though she was the only one who spoke a language other than Vietnamese, she made friends with her classmates. Her enthusiasm to learn was clear as she carefully copied words from the board and took advantage of having a teacher by asking questions. While attending every class last year, Alexandrina didn’t quite progress enough to move up to Level 2. This was evident mostly by her inability to form complete sentences and express herself with correct grammar. Therefore, she re-enrolled in Level 1 this year. She surprised us by telling us she had recently gotten a job at her church helping with admin work, and was grateful for the opportunity to take the same course again because she wanted to re-learn vocabulary and have more time to practice her speaking skills with other level 1 students. 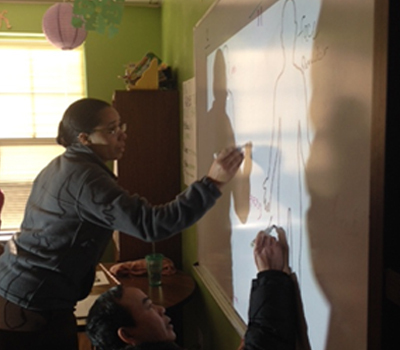 The ESOL program is working with a Teaching Coach to strengthen the Level 1 curriculum, increasing the frequency of speaking opportunities. Both Level 1 teachers have also continued using students’ linguistic needs to inform how classes are structured and the topics and grammar taught. Hopefully this year will bring further growth and more connections between students, always underpinned by high student engagement and support so that students like Alexandrina will receive the attention they need to progress to higher levels. Mr. Trinh first enrolled in VACA’s ESOL program in November 2014. He was 67 years old, a farmer from Soc Trang, Vietnam, and had lived in the U.S. for 20 years, most of that time working for a large Boston seafood company until retiring in 2014. As many immigrants do, Tu managed to live and work in the U.S. speaking very little English. 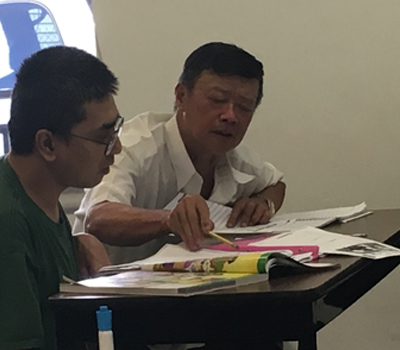 Upon retiring, Tu dedicated himself to learning English, attending morning and evening Level 1 ESOL classes. Tu would rarely speak in class, choosing to copy everything on the board into a notebook while writing the phonetic spellings in Vietnamese. Even if the lesson were repeated Tu would copy it all again. Tu began attending Level 2 in March 2015 in addition to his two Level 1 classes, again copying everything written on the board. Seeing glimmers that Tu knew more English than he spoke, the teachers began to draw him out. One day the class was presented dialogue-skits to read in both Vietnamese and English. After reading the skit in Vietnamese a few times, the class began reading aloud the English translation. Tu’s reading had the context correct but some of the word-choices and word-order were different than the given translation. The teachers discovered that Tu was not reading the given translation, but working from the Vietnamese copy into English himself! The more he has felt successful, the more Tu has participated in all aspects of the classes. He continues to take notes, especially from the board. He has refined his method and reviews his notes for previously written information, and has been bringing to class a hand-held translator/dictionary. Last week, after a session on the articles “a” and “an,” two students were using their break-time to get a better understanding of the concept. Tu stepped up to the board, picked up the marker and proceeded to give them a lesson on the topic. It’s a joy to observe Tu take on academic leadership roles and continue to extend his use of the English language. Thuy Dang was born in 1968 with multiple disabilities, including vision and speech impairments, which affected her ability to learn in school. Due to her visual impairment, she was not able to read or write on herown. Thanks to a nice classmate who wrote for her, she completed 5th grade. Unfortunately he left after that year, which made continuing school impossible. Thuy Dang came to the US with her children through the post-war Humanitarian Operation program in 2010. She knew she wanted to apply for US citizenship but did not know how because of her disability and limited English proficiency. A neighbor advised her to contact us. Thuy soon began treating us like family. VACA supported her with the citizenship application, getting a fee waiver and coaching her to pass the citizenship interview. In June 2016, she received her citizenship certificate! Trang Senh and his wife came to the US in 2010. They shared a one-room apartment with their son in Dorchester. However, they had to keep quiet during the day, not even able to chop vegetables, so that their son could rest after working night shifts. Under this circumstance, Trang and his wife tried to apply for public housing where they would not disturbing their son. 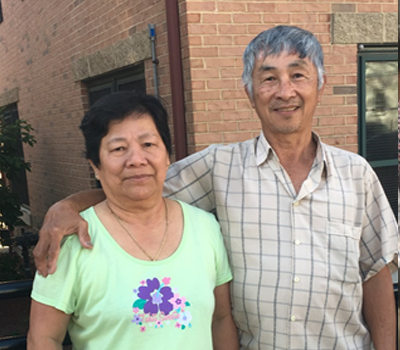 In order for Mr. and Mrs. Senh to apply for housing they needed to become US citizens. The citizenship process was not easy, as Mr. and Mrs. did not speak English. 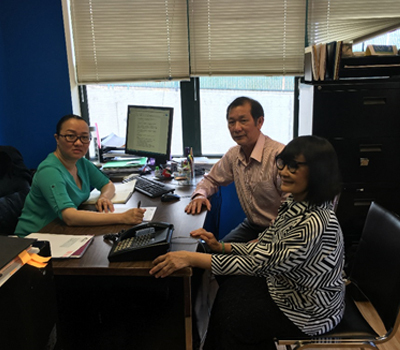 VACA staff worked closely with Mr. and Mrs. Senh to prepare their application and to train them for their citizenship interviews. In April 2016, both of them were able to attain citizenship! After obtaining the citizenship, both Mr. and Mrs. Senh came to VACA to express their thanks. They said, by obtaining citizenship, they both became much more confident, and now they both share their experience and also to support their friends in their senior club. Ha Kim Le came to the US in 1996. Both she and her husband worked 60 hours a week to make ends meet. They didn’t have time to learn English nor to pursue higher education, and didn’t think they could even apply for citizenship. One day, Ha Le and her husband came to VACA for social support services. They shared their concerns and their fear of applying for citizenship. VACA staff helped them both along the way and finally they both successfully obtained citizenship after six months of hard work. VACA’s staff helped them with their applications and interview questions, as well as translated for them during the interview and the oath ceremony. Long Luu, came to the U.S in 1993 when he was 20, under family-based petition status through his older brother. As a young man easily tempted with fun activities and alcohol, he soon got involved in a negative lifestyle, getting into trouble with the law more than once. As his criminal record began to accumulate, the government decided not to grant him with a permanent resident card. As a result, he didn’t have a green card for more than 20 years, preventing him from looking for work. Later in life, Long had made up his mind and regain his self-esteem. The process of obtaining a green card was challenging, since he was required to clear all his criminal records in different states and counties. In the middle of 2016, he came in VACA office asking for help with his green card application. VACA worked with him to contact different agencies and district courts to obtain and clean up his record. The process was difficult because he not only had to find ways to travel under financial difficulty, but he had to meet deadlines for paper work submission required by USCIS. In June 2016, with fingers crossed, VACA staff went with him to the local USCIS local office to submit the required paperwork. It was the fourth time VACA accompanied him there. Happily, in August, he received his green card in the mail. 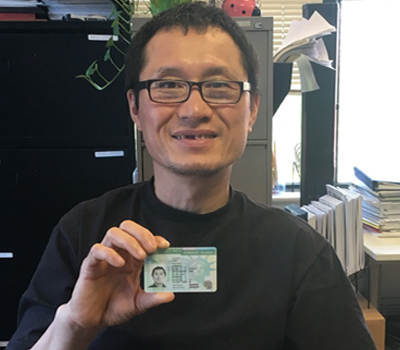 It was the first time in 23 years that he was a legal permanent resident! Currently, VACA staffs continues to help him with applying for a drivers license and the other documents needed a resident deserve to have.